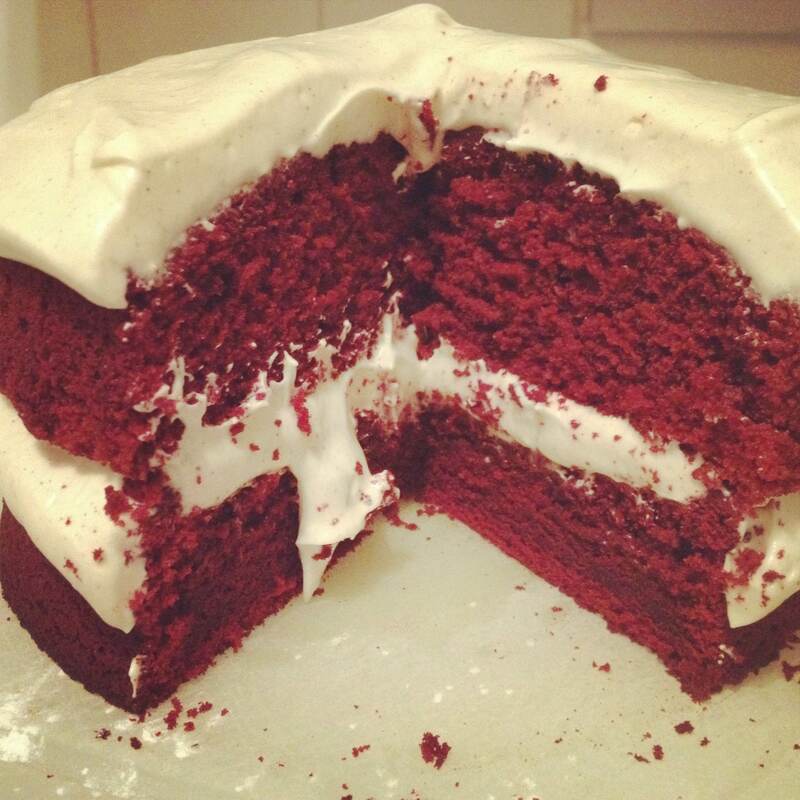 Red Velvet Cake | Que Sera Sara? We like unconventional traditions in our house. They break things up and add spice to our everyday. Every year for our birthdays, we do two things: One is our birthday getaway which I mentioned already, and the other is cake. I know, I know. Birthday cakes are totally old news. But since we started dating, we always bake a cake together. A special no-holds-barred cake of epic proportions, created in a fit of kitchen bonding. Last year was a four-tiered German Chocolate mountain, this year was our first ever attempt at Red Velvet. I have always been intrigued by this cake — and the urban myth that it was created in a hotel; legend has it the colour due to a mysterious and unexpected chemical reaction between buttermilk, vinegar and cocoa — but I’d never actually tried it. 2, the chemistry thing is a lie. 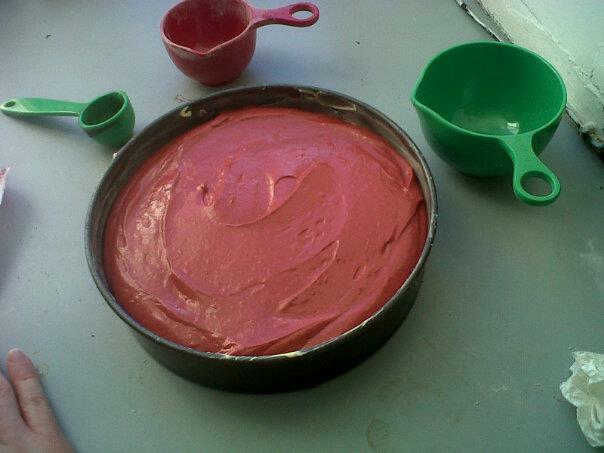 the only way to get it a rich red colour without food colouring was by using beet juice. Guess which route I chose. We attempted the tried and tested Joy the Baker recipe, because I am a little bit obsessed. Also, because it has cinnamon cream cheese icing – what’s not to love? If you bake a lot of cake, then this is no different. If you are new to baking, this has lots of ingredients and lots of steps, but none of them are hard. Just go slow and if in doubt, beat it some more. Honestly. I have never beaten cake batter so much in my life, but the glossy meringue like finish I was left with was utterly heavenly. More like pudding than batter. It magically transforms in the blink of an eye – like the shift from scary boiling sugar to smooth caramel. Or from the perfect microwave s’more to marshmallow disaster. 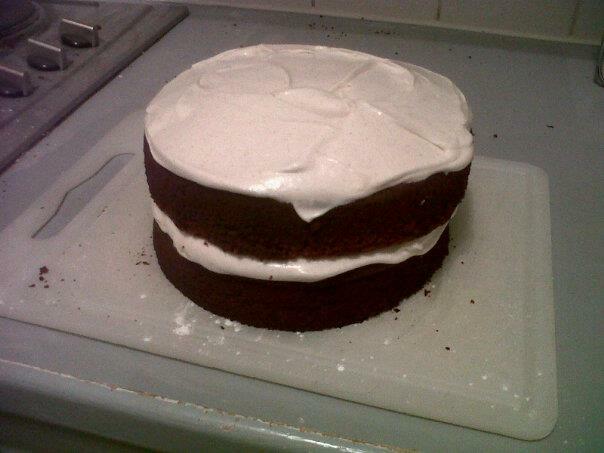 I doubled the recipe to make both layers of cake but I didn’t double the icing recipe, and I’m glad. It was crazy rich. The first couple slices I even had to scrape some off – though I certainly had acclimated to it by the end. It sort of grows on you. See, you have to build up your tolerance for things like icing. Like whisky. Or iocane powder. Anyway, next time I’ll probably leave out the food colouring and just have a slightly brownish cake, because a whole bottle of food colouring is just a weird ingredient, aesthetic victory or no. BTW, have you seen this – how have we not invented the Edible Book Festival?